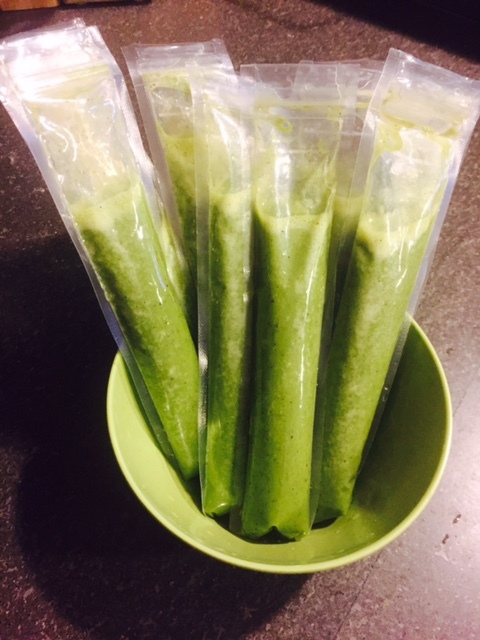 To my mommies, there is a great way to introduce to your children that you can still have a smoothie popsicle without all of the unneeded fillers. Adults can dig in as well as this recipe calls for just three ingredients: banana, almond milk and spinach for all under 40 calories for a 1/3 cup serving. Have a little fun with it by using popsicle molds or for the little kiddos I recommend reusable popsicle sleeves.